​ ​Now offering the same friendly, reliable Towing in Allentown, PA you have grown to love! Call us now 610-557-3413! We have earned ourselves a trusted name among the big towing companies in Bethlehem and are branching out to offer the same fast, reliable, and affordable services into Allentown, Easton, the entire Lehigh Valley and many surrounding areas. We often tow vehicles from events in Allentown back home to New Jersey, Mt. Pocono, Hellertown, and Phoenixville for our out of town customers. We offer lockout service, roadside flat tire repair and tire changing. We have flatbeds to tow all-wheel drive and rear-wheel drive vehicles. Our flatbeds are used if you are in an accident or a simple fender bender. We offer wrecker service for more involved vehicle damage. 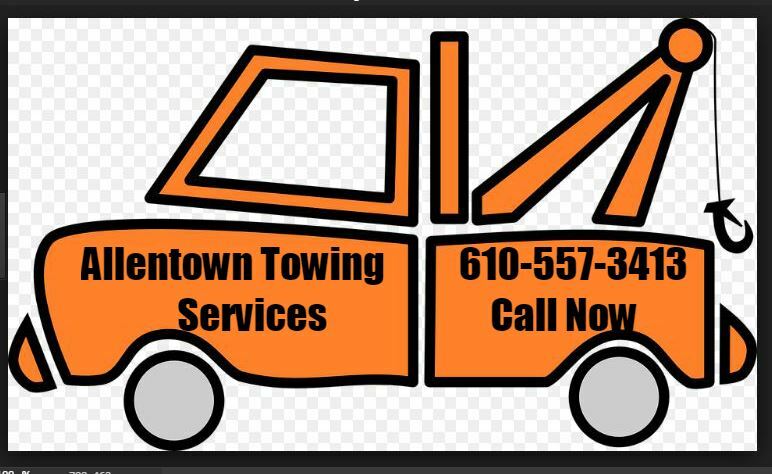 Call Allentown Towing Services for all your tow truck needs within Allentown, PA and you will be given a fast flat rate over the phone. We do not breakdown pricing based on a sliding scale for towing jobs. With our experience we can tell you a flat rate over the phone so that there are no hidden charges when the tow driver arrives. We do not charge by the mile as there are extenuating circumstances that influence the pricing of tow truck jobs. Inclement weather unfortunately puts even our towing drivers and nice trucks at risk, so rates increase at all local tow companies in dangerous weather conditions. We are experienced and understand the local towing market in Allentown so well that we can provide a flat rate for you, and are sometimes known to suggest another towing provider if we feel our prices would be unreasonably high. We seek to provide a great service to our customers to keep our roads safer and keep passengers safely off the dangerous interstates in our area (did anyone say I-78?). 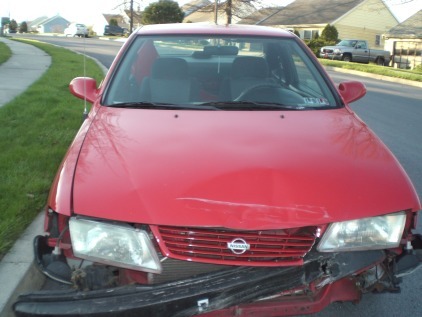 Why Choose Allentown Towing Services? Available round-the-clock: Your vehicle can breakdown at any time. That’s why our tow trucks are available 24X7 to reach you at any time, irrespective of whether it’s day or night. Fast response times: Typically, we reach our customers within 30 minutes if they are in the city limits or 60 minutes if they are beyond. Reliable and efficient towing: With a team of fully trained, licensed and insured drivers at work, we ensure our fleet of tow trucks functions at its best is maintained in top condition and helps our clients in distress efficiently. Is paying for professional towing service worth it? Incompetent drivers behind the wheel: Trusting untrained and non-certified tow truck drivers to transfer you and your vehicle can make you jittery until you reach your desired destination safely. Compromise safety: The safety of your vehicle as well the people in it will be heavily compromised when you’re chosen wrecker trucks involves unprofessional or inexperienced drivers for their trucks. Additional expenses: Improper towing can make you pay fines, thus costing you more than what a professional towing company would have charged. When you add the reliability and safety components that a professional wrecker service brings to the table, the deal is definitely worth it. With a large fleet of tow trucks that are regularly serviced and maintained well, we ensure they are always functioning at their best. Whether your vehicle has broken down in the city center amidst rush hour traffic, or is in trouble by the highway during the early morning hours, our wrecker trucks will come to your aid fast. With fully licensed, trained and insured drivers and sub-contractors in charge of collecting your broken down vehicle, you can rest assured they will move it off road while adhering to towing regulations of the state and drive it to safety with utmost reliability and professionalism. They can even clean up the scene of the event successfully and safely, if needed. When shipping the heaviest, largest, or oddly-shaped loads, you have to ensure they arrive at the desired destination safely. That’s exactly why you should work with proven logistics experts of Allentown Towing Service: a company that offers flatbed trucking services designed to handle any delivery, irrespective of its size or complexity. With our large fleet of towing/hauling vehicles and open deck equipment, we can handle any shipment safely and efficiently. Thus, you will no longer need to worry about your inventory getting damaged or misplaced. With Allentown Towing Services as your preferred shipping partner, you can now breathe easy, knowing that your big deliveries will arrive safely and on time, making the entire process a huge success. Whether you have a construction site where there’s no docking site available, or need speedy loading and unloading at your shipping points for time-sensitive goods, our flatbed truck service is an ideal fit. Be it shipping special equipment or goods that are too long, too wide, overweight, over-sized, or a combination of all these, you can always rely on Allentown Towing Services to deliver on its promise of transporting your goods and equipment safely to where they are meant to reach. You shouldn’t trust your truckload and LTL freight to just anyone. While some towing providers may offer you a cheap rate but fail to deliver on their promise of safe transportation, others may have the experience of shipping only twice a year. Steer clear of them and join hands with us by calling 610-557-3413. At Allentown Towing Services, we always give our customers honest, transparent pricing with no hidden costs. Depending on your equipment or goods to be transported, we make every effort to provide you with the absolute best possible tow trucking service and at the best price. With superior customer experience being our prime focus, all our staff works hard to make the entire experience a breeze for our esteemed customers. Since we work with shippers that have the experience of shipping multiple loads each day, you can rest assured that your valuables are in good hands and will reach their destination safely. We make sure that your shipment has the proper tie downs and tarps so that it's safeguarded while in transit, and can get ready for usage when it reaches its destination. We have a variety of trailer designs and types that are engineered specifically to fit the various needs that our customers’ freights demand, either due to their weight or size, or based on the way they need to be packed. If your goods or equipment have a tight time schedule and need to be moved as quickly as possible, we can supply expedited trucking service for such deliveries. ​Got a hitch with your vehicle? We can tow it! Finding your car unexpectedly broken down in the middle of the road can be a harrowing experience. You have to hire an efficient and reliable towing service that can arrive at the spot fast and move your vehicle safely. With our huge fleet of tow trucks managed by our trained experts, we at Allentown Towing Services can now come to your aid quickly in and around all areas of the Lehigh Valley, whenever you need us. Emergency situations like accidents on the highway or sudden breakdowns can never be foreseen. But when they happen, we understand you need a wrecker service that’s readily available and can reach you as early as possible. When you contact Allentown Towing Services, our tow truck professionals can be with you within 30 minutes to an hour’s time on an average. With us by your side, you can rest assured of getting a competent towing company coming to your rescue when you need it the most. So, whatever is your trucking and hauling requirements we have you covered, reach out to 610-557-3413 today and enjoy what hundreds of others before you have experienced and vouched for! 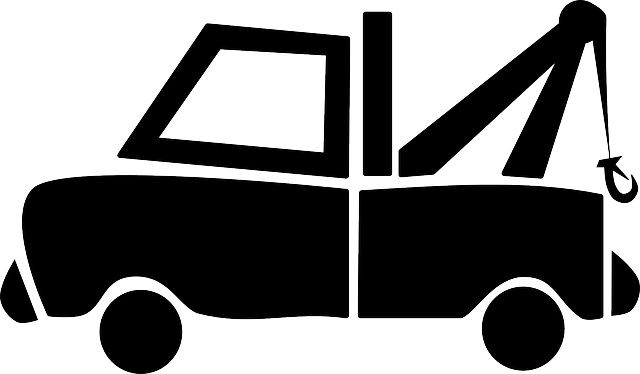 24 Hour Towing Service-available when you need us most! Anytime, anywhere towing made easy! Towing and recovery professionals of Allentown Towing Services are available round the clock to reach you fast in case of an emergency. Our 24 hour towing services provide you with safe and reliable towing at affordable rates, no matter where you are or what hour of the day/night it is. Whether you have a breakdown, flat tire, or have been in an accident, you just need to contact us at 610-557-3413 and we will send a certified, licensed and experienced technician along with a tow truck to your location. At Allentown Towing Services, we understand that most people don’t think of towing unless their car breaks down, or has run short of fuel, or has met with an accident. Since such situations often come unannounced, we welcome everyone in need to reach out to our always available line without any notice. With our extensive towing capabilities that remain open 24 hours a day, seven days a week, we believe we can tow anything that you can drive on the road or water. From cars and trailers to caravans, trucks, boats, motorcycles, off-road vehicles and much more, we have had the experience of towing a variety of vehicles for the convenience of our customers. We have trained, insured, licensed, courteous and police-certified towing professionals on board who know how to move your vehicle safely to its desired destination. So, you can rely on our experienced staff and a well-managed fleet of tow trucks to get your vehicle transported to its destination efficiently and without any harm. From a breakdown or an accident, to thefts and off-road incidents, our convenient towing services are always at your benefit. Whatever be your situation or emergency, we are just a call away and always ready to provide you with speedy, affordable towing services. Our 24 hour towing services won’t cost you an arm and a leg. We believe in bringing you the best towing service that money can buy and have kept our prices transparent as well as competitive. When you hire us, you can rest assured of getting honest pricing with no hidden costs that spring a surprise midway through the move or at the end of the process. With our transparent, affordable prices, you will know what you are getting in lieu of the payment right at the beginning of the move and enjoy complete peace of mind. The most unfortunate and awful incidents can happen to anyone, at any time. When you are in such a situation, it’s always a great relief to know you can rely on a friendly service. Whenever you need immediate road assistance or help with your vehicle, you just need to call us and our quick response team will ensure our professionals reach your location fast. Don’t lose time the next time you are stranded or need roadside assistance. Simply call Bethlehem Towing Services and we will immediately respond to your emergency, get you off the road and move your vehicle to a destination you want. When you need it, we will move it! If you’re looking for a reliable wrecker truck service that won’t burn a big hole in your pocket and let you transport your vehicle safely and quickly, your search ends at Allentown Towing Services. Having been in the business for years now, we have helped numerous people get a trusted local towing company services whenever they need it, and that too at cost-effective rates. Whether your vehicle refuses to budge on the busy city roads or has gone silent on the interstate, our efficient and licensed professionals can move it safely and affordably to your desired destination. At Allentown Towing Services, we take pride in offering extremely professional and efficient towing and recovery services round the clock to respond to all towing requirements. Whether you need towing services for a bike, car, some heavy duty vehicles and machinery, or something unusual, you can reach out to 610-557-3413 to get reliable and fast towing solutions. Since our trucks are available 24 hours a day, 7 days a week, we can reach you within 30 to 60 minutes. So, forget those strenuous hours waiting on the interstate for your tow company to reach you, or feeling anxious with a broken car amidst the busy city traffic. With us, you can now breathe easy as our trained staff will reach you fast and tow your vehicle, no matter where you are or what time it is of the day or night. Our team at Allentown Towing Services includes trained, licensed and experienced professionals. All these people have been trained to provide superior customer service by offering honest and accurate information. We also ensure our staff members are courteous, well presented and helpful to understand and meet your towing needs. By hiring us, you can rest assured that we will tow your vehicle competently to the required destination, as requested. What makes our wrecker truck services the go-to choice? Chuck your worry about being stranded with your broken down or malfunctioning vehicle by putting your trust in the experts. With our extensive, nationwide network of towing and truck services, we will have our staff reach you within an hour at the maximum. Call us whenever you need a wrecker professional and we’ll be happy to help!